The truth of it, however, is that the idea for Mistress of Fortune didn’t start there; it’s actually thirty years in the making. The foundation of the story actually began when I read Forever Amber by the late Kathleen Winsor at age fifteen. Winsor painted a portrait of Restoration London (roughly 1660-66) so vivid that it compelled me to devour any and all information about Stuart London I could find. I’ve been unofficially researching the time period ever since, and I knew if ever wrote a novel, it would be my setting. But I couldn’t stop there. Winsor’s novel featured King Charles II, who ruled England, Scotland, and Ireland from 1660 to 1685. Without a doubt, he was my first literary crush, and when I sat down to pen Mistress of Fortune, I knew he’d be a central character. But who would be my protagonist? It wasn’t until I read a biography of Aphra Behn, a successful female playwright of the time, that my fictional amateur sleuth, Isabel Wilde, really came to life. Isabel, Lady Wilde, is a mistress to King Charles II who secretly makes her living as a fortune-teller. In creating her, I used some of the interesting details of Aphra Behn’s life: In her youth, Behn worked as a spy for England. As a result of her service to the Crown, she incurred a large debt that Parliament subsequently refused to pay and she spent a period of time in debtor’s prison. I incorporated these details into Isabel Wilde’s back story and used them to explain her unusual choice of profession; determined never to return to prison and unwilling to take on the more typical roles—wife, prostitute, chambermaid—available to women at the time, she convinces a notorious London astrologer to teach her the soothsaying trade. With these details in place, all I needed was a crime for Isabel to solve. That’s (finally) where the unfortunate story of Sir Edmund Berry Godfrey comes in. I happened upon a Wikipedia article about his unsolved murder and I knew I’d found my victim. 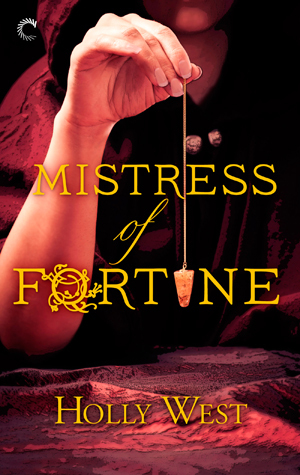 Mistress of Fortune is available from Carina Press. Originally from a small town in Northern California, Holly moved to the big city to attend Loyola Marymount University, where she earned a Bachelor of Arts in Screenwriting. After shoving a few unproduced scripts in the proverbial desk drawer, she succumbed to her baser instincts and turned to writing crime fiction. She’s the author of the Mistress of Fortune series, set in late 17th century London and featuring amateur sleuth Isabel Wilde, a mistress to King Charles II who secretly makes her living as a fortuneteller. Holly’s short stories also appear in Feeding Kate: A Crime Fiction Anthology, Needle: A Magazine of Noir and Shotgun Honey Presents: Both Barrels. Before devoting herself to writing fiction full-time, Holly was an accomplished jewelry designer. 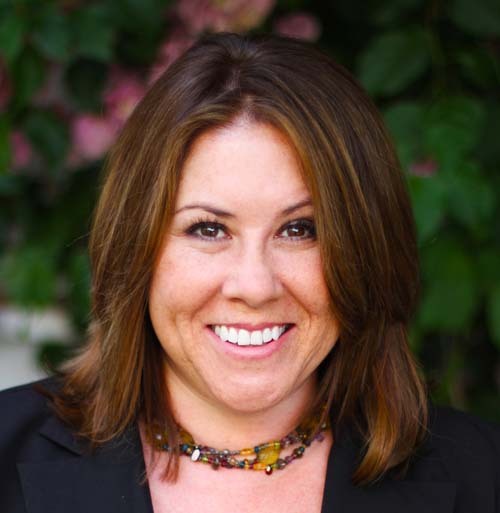 She also served as a contributor to About.com for four years, writing about a variety of topics. Prior to that, she worked as a foreign credentials analyst and published monographs on the educational systems of Sudan, Zambia, and Afghanistan. When Holly’s not wandering the captivating streets of 17th century London, she lives, reads, and writes in Los Angeles with her husband, Mick, and dog, Stella. Find her online at hollywest.com, Facebook, Twitter and GoodReads.